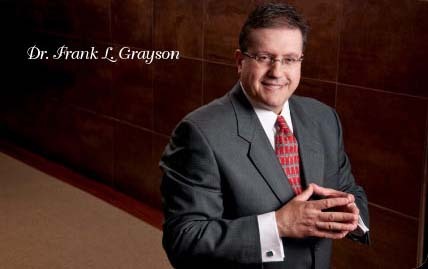 At Grayson Chiropractic Associates, we use one of the most popular “low force” chiropractic techniques in the world. 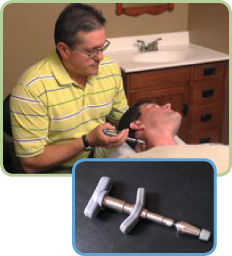 Activator Methods Technique® is a gentle, low-force program of Chiropractic Care. It has been safely used for over 35 years to benefit people with a wide range of health problems - without drugs or surgery! This method is one of the most significantly researched techniques in chiropractic. Both of our doctors – Dr. Frank Grayson and Dr. Dan Grayson – have received extensive training in the Activator Technique. To address spinal joint dysfunction, we use an instrument called the Activator. This unique hand-held instrument was specifically designed to give patients a controlled, light, and fast thrust, without causing undue strain to patients. Activator adjustments are so quick and controlled, your body's muscles are less likely to resist, allowing for a more precise and exact adjustment. One of the unique features of the Activator Technique is that we can zero in on the exact area of the body that is causing your health problems. Patients all over the world are benefiting from the ease and precision of this unique method of Chiropractic Care. Please call us to discuss how the Activator Technique can work for you.